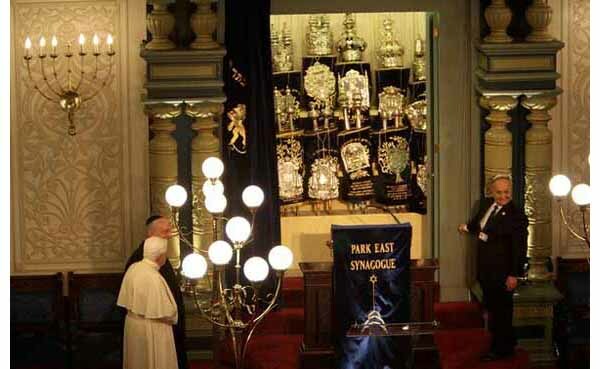 During his visit to the New York synagogue, for a few instants the blue curtain on the front wall was open to display the sacred books and relics of Judaism to Benedict XVI. In this rare photo, one can observe the reverential position of the Pope paying his respects to those books. Among them are included the scrolls of Torah. So, similar to John Paul II kissing the Koran, here we see Benedict XVI venerating the ensemble of Jewish books. 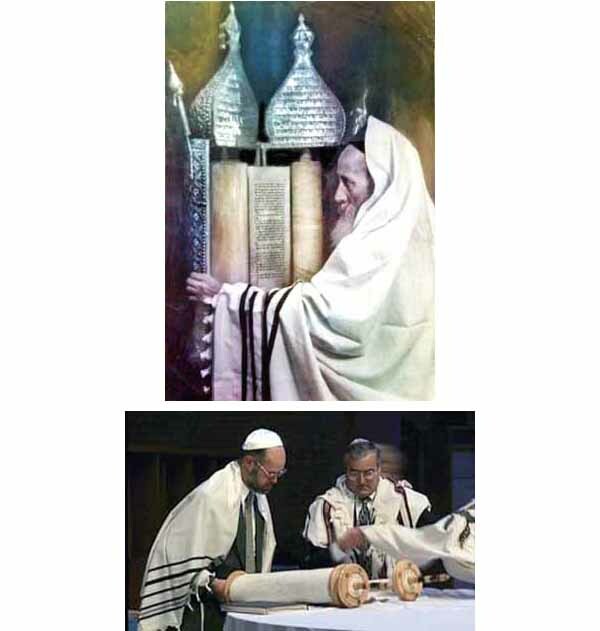 Below first row, a rabbi opening the case containing the Torah scrolls; second row, two rabbis reading the scrolls. Is Tradition in Action Anti-Semitic?